Last week on November 5th the OffiCucina Food Truck landed in Tecnopolo. 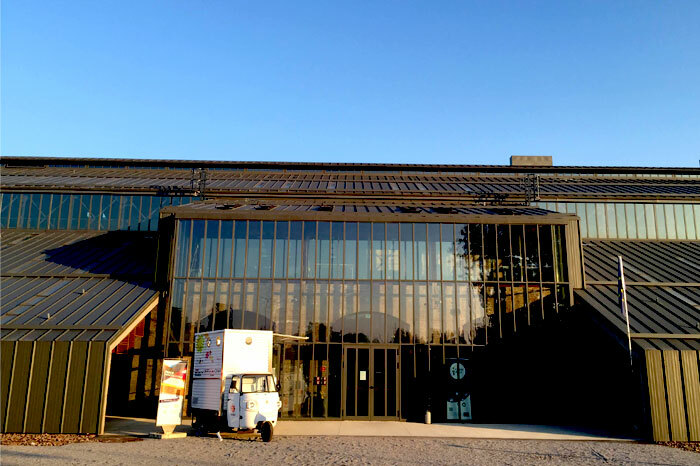 Tecnopolo is the technological core of the University of Modena and Reggio Emilia, developed in the geographical area where Officine Reggiane operated for decades, a 20th century workspace for an Italian company working in railroad and artillery fabrication. 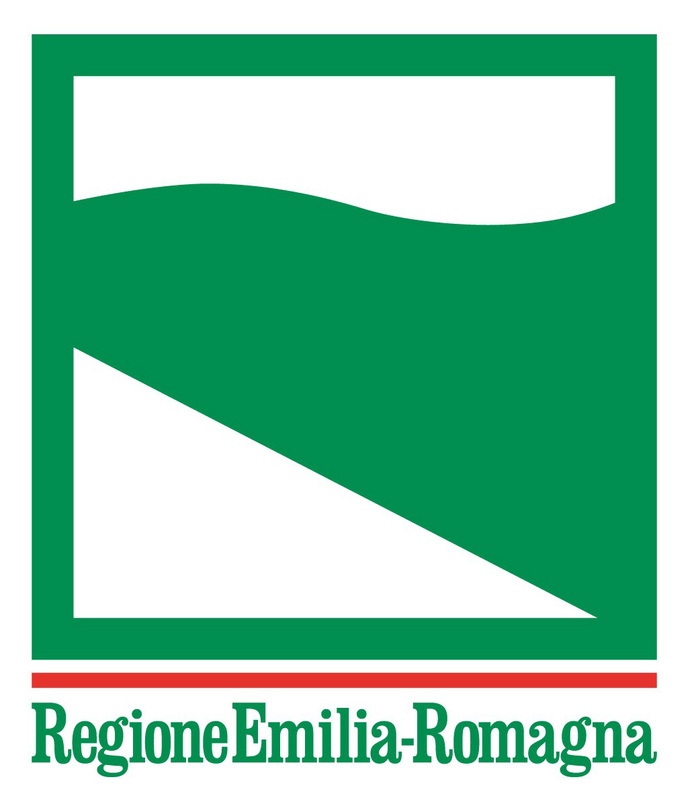 It has long been a place where the people of Reggio Emilia came together to work, connect and share knowledge. 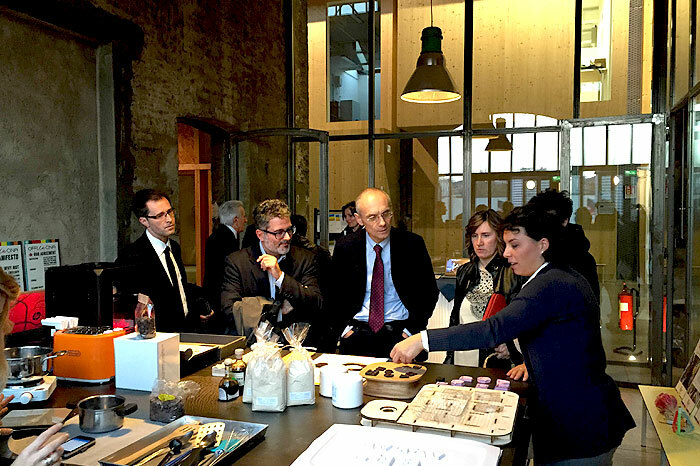 It has since been transformed into the current Tecnopolo, a space where innovation and manufacturing converge. The space is now a hub to combine research and innovation in the following technological platforms: mechanical, energy/environment, agribusiness, building, life sciences and design. It was the perfect location to host the Food Innovation Program for one night of big ideas. Three research fellows – Hildreth England, Riccardo Fantozzi and Elisa Bedin – were there, representing the master. The event, titled Tech Marketplace, was held in collaboration with Reggio Emilia Innovazione (REI) and Banca Intesa San Paolo, and aimed to foster a supportive start-up display. 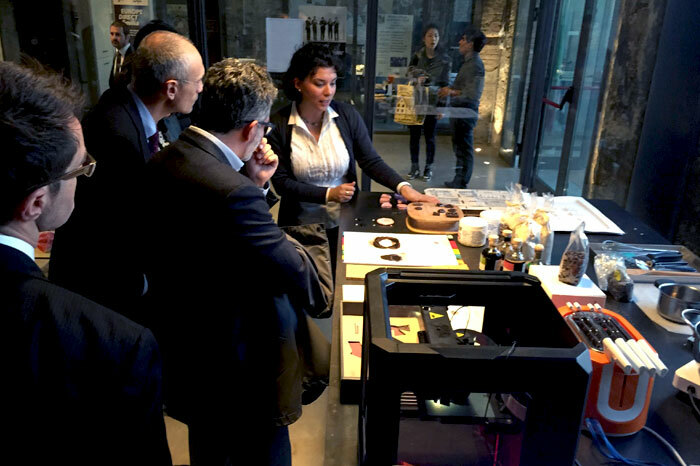 It was fascinating to see the audience engage with the 3D printing food realm through the OffiCucina food truck configured for the occasion. The printer on display was setup to produce chocolate in the shape of the symbol of the bank. But it wasn’t just about making chocolate in custom shapes! 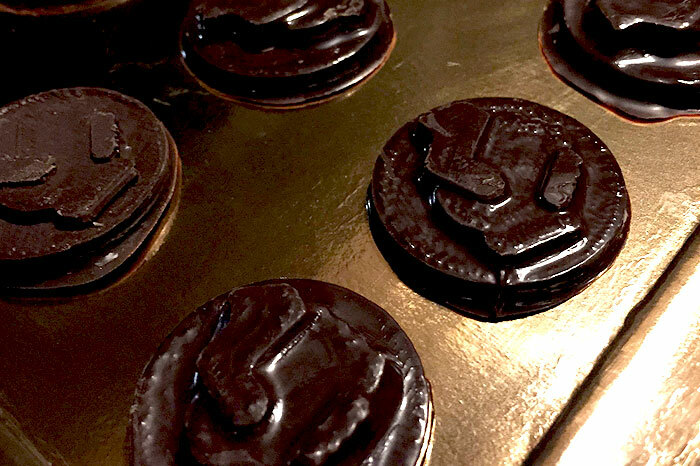 Sure the shape was created through the 3D printer (which is traditionally used for shaping plastic) with the help of a silicon mold, but the actual chocolate itself – melted and tempered at the perfect temperature – provided excellent flavor too. Well, excellent flavor if you like unique combinations. The team combined Aceto Balsamico Tradizionale di Modena of Acetaia San Giacomo with chocolate, causing curiosity and suspicion from spectators. For the many who lined up to try the special combination, the general consensus was positive: the combination of tastes was good! Also on display were videos about activities that FIP fellows have been participating in during the last nine months: hackathons such as Feeding Fair inside Expo Milano, panel discussions at Google headquarters for London Food Tech Week, beachside events in Senigallia (Demanio Marittimo.Km-278) exploring tradition and innovation, and many other amazing accomplishments. In addition, the projects that the Maker Faire team developed for the festival in Rome, just a few weeks ago, were there for spectators to engage with. The grand theme of the event was how to combine knowledge embedded in our food traditions with technology, so that they interact in a positive way. The three FIP fellows made an interesting team with US-born Hildreth, and Riccardo and Elisa hailing from Italy, all under the supervision of Francesco Bombardi who set up and managed the digital machines. They received many questions regarding the 3D printer, but also about other projects, including prototypes developed for a drone delivery challenge. The group also came up with a food prototype on the spot that evening, consisting of chestnut pancakes with drops of chocolate. Riccardo developed the shape of the chestnut and printed it with the MakerBot. Elisa and Hildreth worked to prepare the dough and cook it. Then violá… the chestnut pancakes were ready to taste! For a first recipe prototype, it came out quite well, although maybe next time a little more sugar wouldn’t hurt, just to keep things sweet! The evening was a success. Another exciting occasion to test new ideas, to explain what FIP students are doing inside the master, and share the knowledge that they are acquiring in an international and multicultural environment.